What are the benefits of employing those with disabilities? What are the benefits of hiring people with disabilities? Home Staffing What are the benefits of hiring people with disabilities? Rising Star was Created to improve employment of people with disabilities. A non-profit staffing service company, Rising Star focusing our recruiting organizations that have a desire to support people with disabilities. We want to be a part of the solution in solving the problem of high unemployment rates of people with disabilities. There has been very little improvements since the enactment of the Americans with Disabilities Act back in 1990. Why don’t companies know the benefits of hiring people with disabilities? It would be reasonable to presume that companies would be reluctant to hire employees that would cost them more than other options. This is reasonable as we have seen trends to move manufacturing and call center operations to other countries. Within the country, companies have gone radical and taken measures to do things such as setting policies not to hire smokers or overweight people. Right? So, surely this is part of the problem. The perception that people with disabilities cost more than your average Joe. 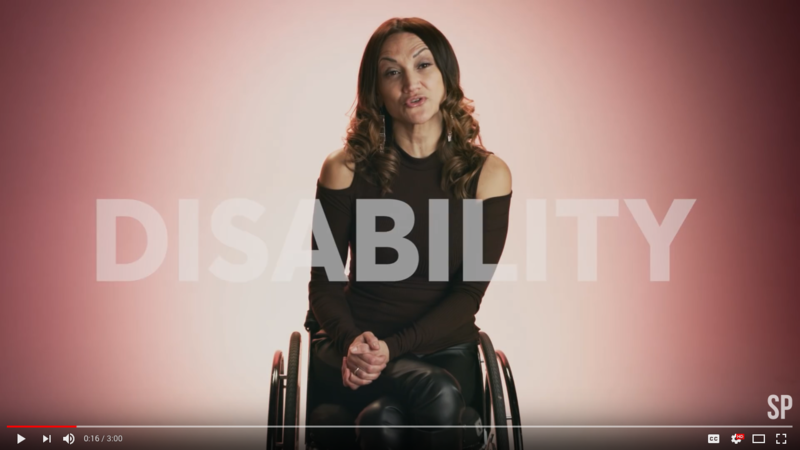 Hiring people with disabilities is good for the bottom-line, according to the U.S. Chamber of Commerce report, “Leading Practices on Disability Inclusion”. The report is riddled with case studies from an array of companies such as Merck, 3M, PepsiCo, and AT & T. All of the companies in the report state the importance and benefits of hiring people with disabilities. It doesn’t however, clearly address the costs versus benefits of hiring people with disabilities. “Workplace accommodations not only are low cost, but also positively impact the workplace in many ways” according to the U.S. Department of Labor, Job Accommodations Network annual report, “Workplace Accommodations: Low Cost, High Impact” which concludes This report found that more than half of requested workplace accommodation cost absolutely nothing for the companies to implement. Some examples of these accommodations include allowances in dress code rules, scheduling flexibility, or allowing somebody to sit (or stand) when other positioning is customary. Employers reported that providing accommodations resulted in such benefits as retaining valuable employees, improving productivity and morale, reducing workers’ compensation and training costs, and improving company diversity. The report also found that other accommodations had an average cost of $500. How much is that cost compared to the cost of employee turnover? It is clearly much less expensive to provide the accommodation than to have an employee leave. But what about concerns about that applicant that is not yet an employee? Benefits Associated with Workers with Disabilities. The study out of DePaul University found company of employment representatives claim “people with disabilities are generally not apply with them off the street, rather through disability service agencies” like Rising Star. The study also claims that company representatives “expressed concern with some agencies for not remaining in contact”. The study stresses that “ongoing communication with the employee with a disability” is key to successful partnerships between employers and disability employment agencies” like Rising Star. Costs of accommodating employees were minimal is the general consensus of the studies. Unfortunately, despite these findings there is still a perceptions that costs of employing those with disabilities would be high. Rising Star has a mission of hiring a diverse workforce includes hiring people with disabilities, our veterans and anyone with barriers to employment. Executives want diversity and employees who are loyal and provide value to their companies. Employers want above average attendance and long tenure. Rising Star helps other companies achieve those workforce goals. Rising Star has seen success by providing employees that are well suited to the jobs in which we place them and ensuring our customers receive exceptional customer service and proven value. If you see the value in employing those with disabilities, Rising Star has a proven track record and can answer all the questions you may have. Together Rising Star and your company can change the lives of those in need and it can benefit your company as well. It is a win win.